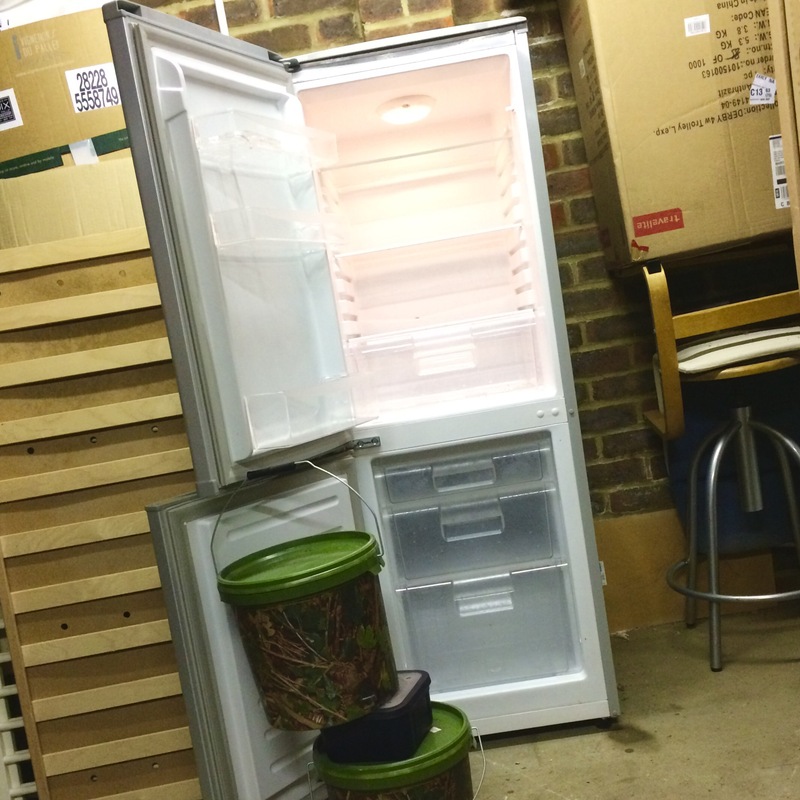 Carppuzzle has a new toy – a fridge – recycled from a flat refurbishment but what to put in it (shelf and freezer are both options), and by whom? I pinged out a few cheeky tweets asking if anyone wanted a field tester for 2017, but bar a couple of “Likes” no one came back to me. My thinking was; the perfect test for a companies new super bait would be a novice (noddy) like me. If it works for me on my usual short sessions it’ll go gang busters on overnighters and fly off the shelves. So who to target with further tweets? I totted up the bait companies I follow and hit 36! Ranging from Baitwork to Urban Baits. There are numerous new and old companies making for a crowded market. And this makes choosing all the more confusing, as some of the product ranges are massive! Now, so as not to fry my brain any further, I’m thinking small product range and trusted endorsements. Which neatly is either end of the alphabet. Urban Baits – tested thoroughly by none other than Terry Dempsey. One last begging tweet perhaps before I put my hand in my pocket and fill the freezer. Having said that I might hold out for a Carpology subscription offer with Urban, some bankside reading to continue the Bait Debate will no doubt come in handy.